We are about to replace the steam boiler for this home that has recently failed. While performing the radiator count I came across three of these radiators. They appear to be similar to the Weil McLain Raydiant Concealed Radiators, but the pattern is different. I just busted out my aging copy of Dan's E.D.R. and could not locate these cast iron radiators. Anybody able to identify them for me. If so do you happen to know the output (per section). I should have mentioned these are two pipe radiators, with Richardson and Boynton radiator valves (appear to be orifice type). I guess I found another oddball? House was built around 1925 if that helps. Surprised no one has jumped on this thread to help you out! I'd say either the Weil-McLain Solray or a US Radiator Co equivalent. Could not find either in the Museum, but if anyone has Tom Byrley's "Hydronic Rating Handbook" they might be in there. Hmm, I think I do have a copy of the Bryley Book buried on my office shelves. I'll have to take a look when I get a minute. Thanks for the ideas. IIRC it's under "Cast Iron and Specialty Radiation". 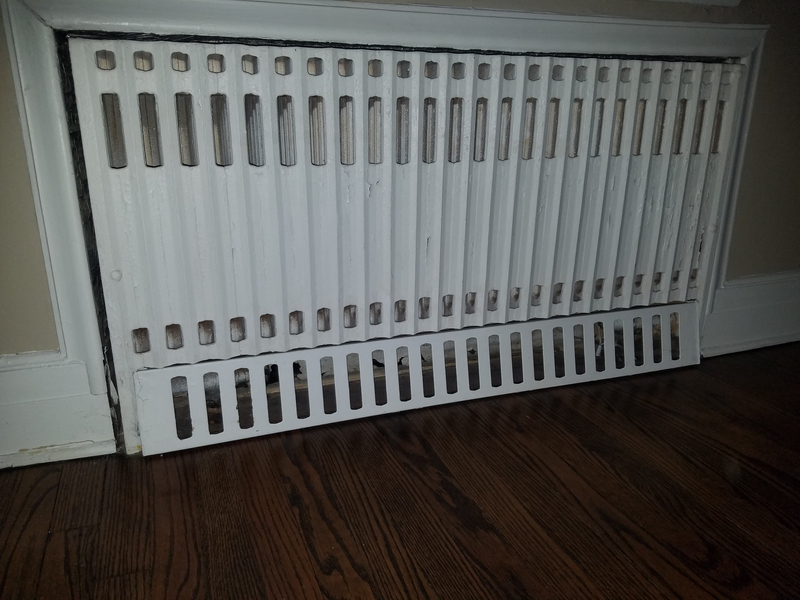 I would do an internet (Google) search for recessed cast iron radiators. You should be able to find something similar ( probably ends in Ray ) to get what you need.